Not really light enough to be appropriate for LRF however this new line concept from French firm, Fiiish is nicely thought out. 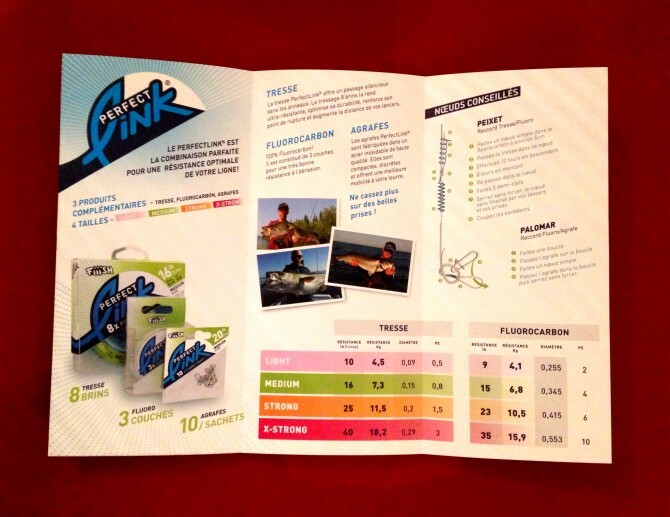 'Perfect Link' utilises the clear thinking they developed with their Black Minnow range. The correct braid, fluorocarbon and lure clips are matched and presented in groupings; Light, Medium, Strong and X-Strong. The respective line classes have been chosen carefully to give the best experience. E.g. 10lb braid is matched with 9lb fluorocarbon - Perfect! While there isn't any rocket science here, the clear product labeling promotes best practice and simplifies line choice - something anglers still have confusion over today. Really well designed and thought out. Great addition to the Fiiish range.